Convicting those responsible for the crash of the MN17 would be a procedural "challenge" for the Ukrainian and Dutch judicial systems, says deputy foreign minister. The Netherlands is changing national legislation for an in absentia trial of the perpetrators of the crash of Malaysian Airlines liner, performing the flight MH17 on the route Amsterdam – Kuala Lumpur. 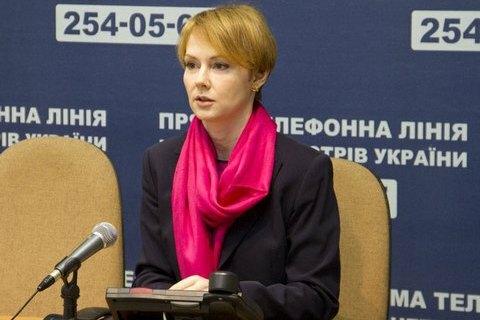 Deputy Foreign Minister of Ukraine on European integration Olena Zerkal told Hromadske that the negotiations in the case were protracted because the Dutch authorities "have to amend the legislation." "In order to make the trial possible, along with the ratification of this agreement, they will have to approve changes in their criminal and criminal procedural codes. The agreement will be ruled by Dutch law, and a Dutch court will issue a decision," Zerkal said. She noted that the procedure for convicting those responsible for the crash of MN17 will be a "challenge" for the Ukrainian and Dutch judicial systems. "The Dutch had regarding an absentee conviction, because we cannot surrender our citizens. We can only transfer them for the duration of the trial process or arrange video conference," she said.